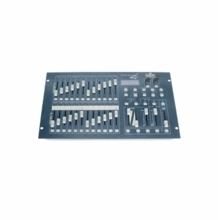 Lighting consoles, also known as dimmer boards, control lighting dimmers for conventional lights and new LED lighting through the DMX 512 protocol. 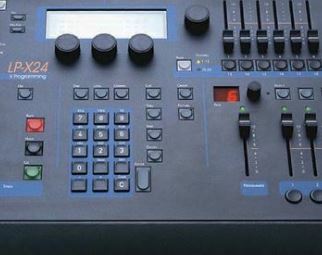 They range from simple-to-use models such as the Manual 2 Scene boards with faders, to more sophisticated, computerized lighting consoles that are used by professional lighting designers who need to be able to control elaborate shows and moving lights while on set. 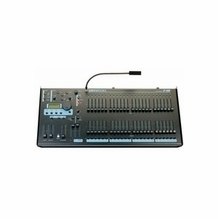 Our selection of lighting boards and studio lighting consoles includes products manufactured by well-known brands such as ETC, Leprecon and Chauvet. Select from lighting consoles, dimmer packs and dimmer boards for full control of moving lights, LEDs and stage spotlights for theater and stage productions, live events, weddings, corporate meetings, houses of worship, schools, or on movie sets. 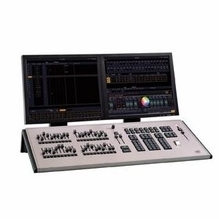 Pick a Chauvet dimmer board control console to operate multiple lights and channels. Whether for a lighting designer, gaffer or DJ, this lineup will provide all of the functionality needed to control a range of setups, from basic to professional. If you're unsure about which studio lighting console is best for your application, reach out to us by phone at 1-888-276-3667 or by e-mail at info@barndoorlighting.com. 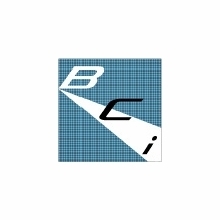 We've been in the industry since 1995, so we have the expertise required to help you find exactly what you're looking for.